The Bangladesh Liberation War (Bangla: মুক্তিযুদ্ধ Muktijuddho) was a revolutionary independence war in South Asia during 1971 which established the republic of Bangladesh. The nine months durations of war engaged East Pakistan (later joined by India) against West Pakistan. It witnessed large-scale cruelty, barbarity and atrocities, the departure of 10 million refugees and the translocation of 30 million people. On 26 March 1971 the war broke out, when the Pakistani Army launched a military operation called Operation Searchlight on 25 March black night. That night the Pakistan army spilled out to the streets destroying everything on sight and killing Bengali civilians, students, intelligentsia, armed personnel, who were demanding that the Pakistani military junta accept the results of the 1970 first democratic elections of Pakistan, which were clearly majority won by Sheikh Mujibur Rahman, the head of the largest political party of Pakistan, the Awami League, or to allow separation between East and West Pakistan. 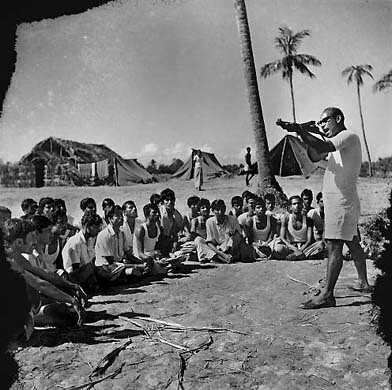 Bangladeshi politicians and army officer Major Ziaur Rahman announced the declaration of Bangladesh’s independence on behalf of Sheikh Mujibur Rahman in response to Operation Searchlight. Bangladeshi military, paramilitary and civilians formed the Mukti Bahini (Bangla: মুক্তি বাহিনী “Liberation Army”) and engaged in guerrilla warfare against Pakistani raider forces. The Pakistan Army, in collusion with religious extremist militias (the Razakars, Al-Badr and Al-Shams), engaged in the systematic genocide and atrocities of Bengali civilians, particularly nationalists, intellectuals, youth and religious minorities. Bangladesh government-in-exile was set up in the city of Calcutta (now Kolkata) in the Indian State of West Bengal. Pakistan launched pre-emptive air strikes on northern India which excited India to enter into the war on 3rd December 1971. Overwhelmed by two war fronts, Pakistani defences soon collapsed. On 16 December, the Allied Forces of Bangladesh and India defeated Pakistan in the east. The subsequent surrender resulted in the largest number of prisoners-of-war since World War II. Bangladesh’s national monument, Jatiyo Smriti Soudho, located in Savar, Dhaka, is a tribute to the martyrs of the Liberation War. Indian T-55 tanks on their way to Dacca in the Bangladesh Liberation War. Rayerbazar killing field photographed immediately after the war, showing dead bodies of intellectuals. (Image courtesy: Rashid Talukdar, 1971). Lt. Gen A. A. K. Niazi, Commanding Officer of Pakistan Army forces signing the instrument of surrender on 16 December 1971.